Combining Ethernet switching, wireless LAN, routing and firewall functionality in one, the RUGGEDCOM RX1400 holds its own in the most demanding industrial environments. RX1400 – Intelligent Networks. Anywhere. Small. Powerful. Wireless. And designed for volume deployments. 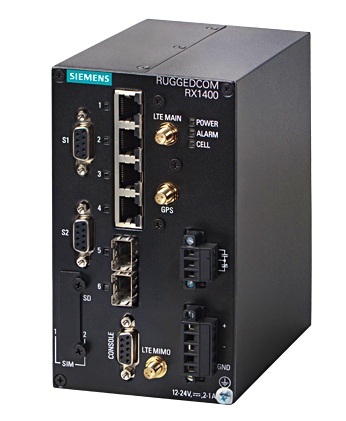 The RUGGEDCOM RX1400 is a compact multiprotocol intelligent node which combines Ethernet switching, routing, and firewall functionality with various wide area connectivity options.